Disclaimer: This is a sponsored post contributed by Mediabuzzer. The views and opinions expressed in the post is that of the author and do not necessarily reflect that of Wise Monkeys Abroad. 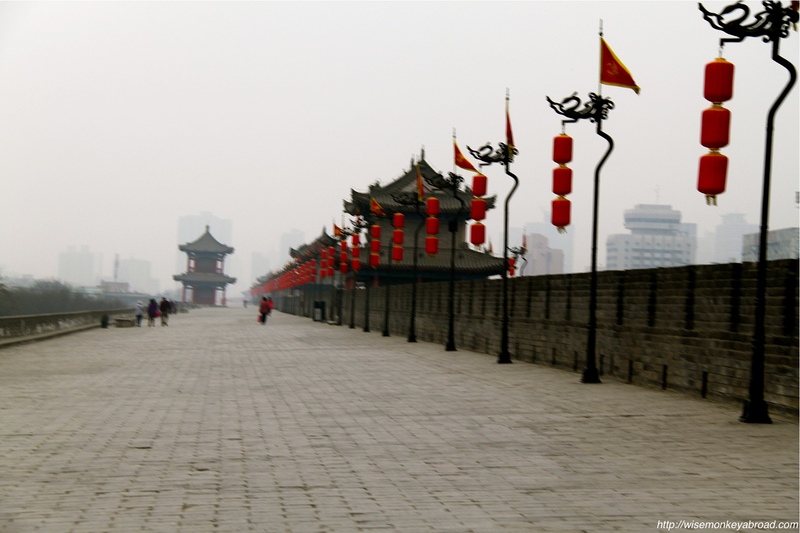 The value of an organised, escorted tour through China is worth more than just peace of mind. It can translate into cost savings, making new friends for life, and perhaps one of the most important commodities we have: TIME. There are too many benefits of a tailor-made China tour for us to list here and they are not difficult to articulate –let me assure you! China is a vast country with a variety of different language dialects which make up its diverse culture, and navigating them is no easy task if you are unfamiliar with them. Organising a custom escorted China tour will provide you with the sort of local backup one needs to manoeuvre on their journey. An escorted China tour company will assist you with obtaining the required paperwork you need to visit the country. Take a lot of the guesswork out of obtaining visas with the help of your tour company and spend more time doing what is important to you without the headaches that come with navigating visa requirements. Organised tours will allow you to get bulk pricing on a number of destinations from hotels, resorts, attractions, and even food discounts at popular restaurants. Do not pay regular prices at places you travel to when you book your journey through a reputable tour company. Escorted China tours 2016 will also help you book everything to your specification, from hotels to restaurants, just by answering their basic questions. A tour company will be able to string together your travel experience based on your preferences and open doors that you may not be able to open all on your own. No waiting in long queues for tickets or meals. With an organised China tour operator, all of these tasks will be completed in advance of your journey so you can focus on enjoying yourself. A popular China tour company will be able to hold your hand and walk you through every location you visit explaining all of the cultural nuances and historical significance as you go along. They are typically able to offer both entertaining and educational commentary every step of the way. With as diverse a culture as China’s, there are bound to be many ethnic and etiquette-related ways you might slip up if you are on your own however an accredited China tour facilitator will keep you in the loop as you go along. Reputation is everything to a tour company and because they are always trying to attract more business due to the competition that comes with the job title, they’re going to treat you right by making sure that you are safe and that you do not get taken advantage of. A tour company will ensure that you spend your money with other companies that are reputable and have your absolute best interests at heart, every single time. This entry was posted in China, General Travel Musings and tagged China, China tour, Tour Group, Travel. With Le back into full-time work, time has just been slipping away. It has been over six months since we returned from our last overseas trip and we just are getting edgy to plan our next one. At the moment, we have a few short local getaways planned but we are hoping for an overseas trip at some point for 2-3 weeks at the end of the year. We’ll see how it pans out. In the meantime, let’s go down memory lane for a little bit. We thought we would look back on a UNESCO site that we visited back in 2012…. It was April 2012, and we were in China. We were rather unaware that it was still going to be COLD…. So very very cold! The day we went to Yungang Grottoes it was absolutely freezing and windy. We can recall so clearly how we had the hoods of our windbreakers pulled tightly over our “beanied” heads, our scarves wrapped around our necks and up around our faces… just enough to reveal our eyes. But walking around the grottoes in that cold air was worth it! It was worth every teeth chatter, it was worth every shiver, it was worth the sting on our cheeks from the wind. Before arriving at the caves, we walk down a path with tall majestic carved columns, then over a bridge with the frozen lake below. There are more than 250 caves and more than 50 000 carved statues of all shapes and sizes. Impossible to see them all in the time we had there. The sizes of the statues vary from tiny to massive – some are inside the caves while others are outside. The level of detail on the carvings was mindboggling. And to think this artwork dates back to the 5th and 6th Century, it had us in complete awe. The visit to these grottoes was definitely an experience to remember for many reasons. By the end of that day, our cheeks were frozen solid! Yungang Grottoes was listed as a UNESCO Heritage site in 2001. This entry was posted in China, UNESCO and tagged art, Asia, Buddhism, China, photo essay, Photography, Travel, travel photography, unesco, UNESCO Heritage Site, World Heritage Site, Yungang Grottoes. Most of our photos that are blurry, we delete straight away. So this challenge was hard for us but we managed to find one of the Xi’an wall. Do you keep photos that are blurred? Feel free to drop us a line here. This entry was posted in China, Weekly Photo Challenges and tagged blur, China, Photography, Travel, wall, Weekly Photo Challenge, Xi'an.